After being awarded a sustainment contract worth up to $18 million over three years for Australia’s Cape Class Patrol Boats, Austal has also announced it has secured a further contract for the Independence Class littoral combat ship (LCS) for the US, as well as a $190 million contract to design and build two trimaran ferries. The WA-based company could not confirm the exact value of the LCS vessel contract, but said it is under the US congressional cost cap of $750 million per ship. This is now the second LCS vessel to be awarded to Austal this year. The 127-metre, Frigate-sized LCS30 will be the 15th LCS constructed at Austal’s US shipyard in Mobile, Alabama. Austal chief executive David Singleton said the latest award is further proof that the Australian industry can not only compete, but excel on the world stage. "Whilst this is a great achievement for Austal, I am also delighted in the vote of confidence this delivers in the Australian industry for shipbuilding and design," Singleton said. "I am particularly impressed by the productivity gains and quality of build that our workforce in Mobile has achieved – what they have delivered over the last few years is nothing short of outstanding. The performance in the USA is fast becoming the benchmark for naval production in the world and an inspiration to all of us. 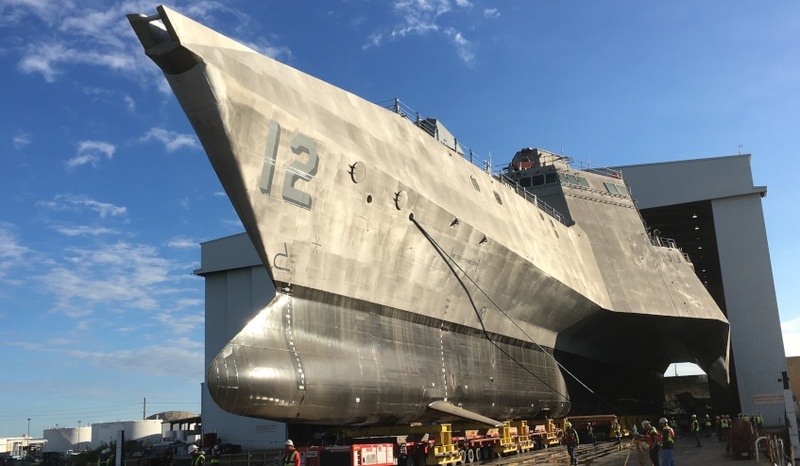 Austal’s work on the LCS program at our advanced Module Manufacturing Facility (MMF) has seen efficiency gains of 20 per cent so far with an ambitious target of 35 per cent set for the end of the build cycle." Singleton added that its US operation is the perfect model for Australia's shipbuilding industry, which the government is trying to make sovereign and export capable. “Austal USA employs 4,000 people at its headquarters and shipbuilding facility in Mobile, Alabama, while its supplier network includes over 2,200 businesses across 43 states," explained Singleton. "This operation is truly part of a national endeavour in the USA, and is a model for Australia’s shipbuilding industry where continuous shipbuilding drives innovation and productivity and provides many benefits to the national supply chain and education industry. “I look forward to working with the Australian government in its clear vision for a truly sovereign, and export capable, naval shipbuilding industry based on a continuous build approach. This target is something we are passionate about because of all the job security, education and advanced manufacturing spin offs it will create." Austal is currently partnered with German ship designer Fassmer in tendering for Australia's $3 billion Offshore Patrol Vessel Project. “Should Austal be successful in its bid for the $3 billion Offshore Patrol Vessel contract for the Royal Australian Navy, we intend to bring the same approach in advanced manufacturing techniques and efficiency gains operating in the US to Australia," Singleton said. The company has also scored a big win in the commercial sector, securing the design and build of two 117-metre high-speed vehicle passenger trimaran ferries for long-term customer Fred Olsen S.A. of the Canary Islands, Spain. The aluminium trimarans, designed by Austal Australia, will be the second and third trimarans to be delivered to Fred Olsen S.A., which already operates the world’s first and largest trimaran vehicle passenger ferry, the Benchijigua Express – designed and built by Austal in 2005. Austal said the build location for the vessels will be announced separately.